Note - this title is sold out, but is available as one of a paired set (with "Matched") - both titles are mint/unread, and have been signed, lined and dated by the author. Please click on the book image below to send me an e-mail, if you are interested in this pair. Signed, lined with a hand-written quote from the book, and dated by the author to the title page. 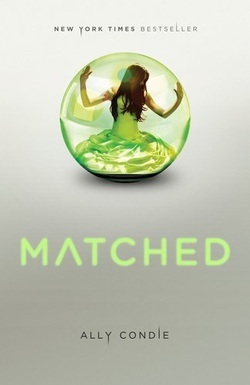 Synopsis : Cassia has always trusted the Society to make the right choices for her: what to read, what to watch, what to believe. So when Xander's face appears on-screen at her Matching ceremony, Cassia knows with complete certainty that he is her ideal mate . . . until she sees Ky Markham's face flash for an instant before the screen fades to black. The Society tells her it's a glitch, a rare malfunction, and that she should focus on the happy life she's destined to lead with Xander. But Cassia can't stop thinking about Ky, and as they slowly fall in love, Cassia begins to doubt the Society's infallibility and is faced with an impossible choice: between Xander and Ky, between the only life she's known and a path that no one else has dared to follow. 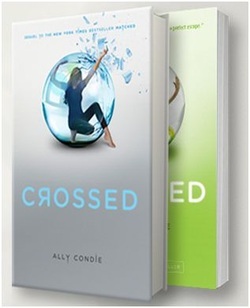 Click here for signed first edition of "Crossed"